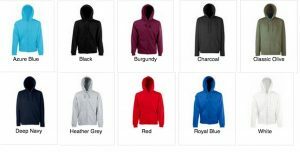 Manx Geocaching Hoodie – £26.99 or a personalised for £29.99. To order see below. A Classic hooded sweatshirt jacket with the Manxgeocaching logo. 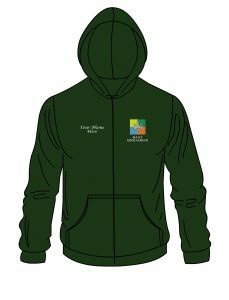 The Manxgeocaching logo is embroidered on the LHS and you can choose to personalise your hoodie with your name/geocaching name on the RHS. Narrow covered zip. Double fabric hood with self-coloured drawcord and single jersey backneck tape. 2 front pouch pockets. Produced using Belcoro® yarn for a softer feel and cleaner printing process. 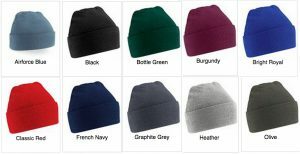 Azure Blue, Black, Burgundy, Charcoal, Classic Olive, Deep Navy, Heather Grey, Red, Royal Blue, White. 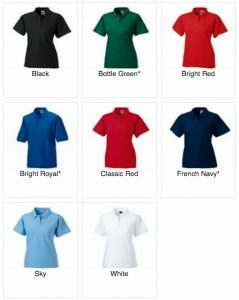 Manxgeocaching Women’s Polo Shirt – £17.99 or personalised for £20.99. To order see below. 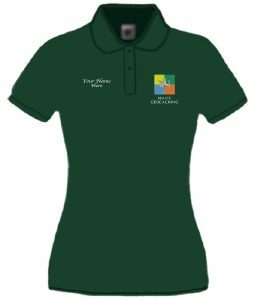 Women’s Polo Shirt with Manxgeocaching logo. The Manxgeocaching logo is embroidered on the LHS and you can choose to personalise your polo shirt with your name/geocaching name on the RHS. Unique double yarn piqué provides an exceptionally soft hand feel and increased shape retention. Neck tape for wearer comfort and durability. Open sleeve with twin needle hem. Side vents for ease of fit. Spare button on side seam. Reinforced shoulder seams. Twin needle hem for addded stability. Fitted feminine waist. Suitable for 40C wash and tumble dry. Black, Bottle Green*, Bright Red, Bright Royal*, Classic Red, French Navy*, Sky, White. 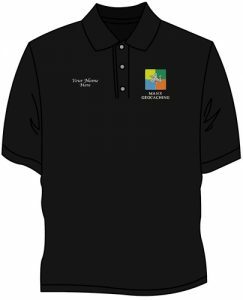 Manxgeocaching Men’s Polo Shirt – £17.99 or personalised for £20.99. To order see below. Men’s Polo shirt with Manxgeocaching logo. Unique double yarn piqué provides an exceptionally soft feel and increased shape retention. Neck tape for wearer comfort and durability. Classic style flat knit cuffs. Spare button on side seam. Reinforced shoulder seams. Twin needle hem at bottom for added stability. Suitable for 40C wash and tumble dry. *3XL and 4XL only available in these colours. †5XL and 6XL only available in these colours. Black*, Bottle Green*, Bright Red, Bright Royal*†, Burgundy, Classic Red*, French Navy*†, Light Oxford, Pure Gold, Purple, Sky, White*†, Winter Emerald, Yellow. 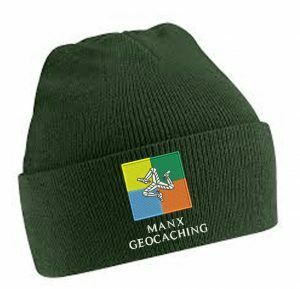 Manxgeocaching Beanie Hat – £9.99. To order see below. Double layer knit, machine washable cuffed Beanie hat with the Manxgeocaching logo. How to order. Just send an email with your requirements to mail@manxgeocaching.com or a message using the Contact Us form. We will get back to you regarding how to pay for your purchase and with the post & package costs.